You are at:Home»Mobile Apps»Active Survey for iPad: How Do Your Customers Rate You? Active Survey for iPad: How Do Your Customers Rate You? If you run a retail business then you know the importance of word of mouth. An influential customer who loves you can bring in more business and one who hates you can drive it away. Therefore, knowing how your customers feel about you is very important. Net Promoter Score or NPS is a leading survey theory which categorizes your customers into three groups. Classifying into these groups is done by asking one simple survey question: Would you recommend this company/brand to your friends? Personally I am usually much more willing to take a one question survey compared to a long list of questions. 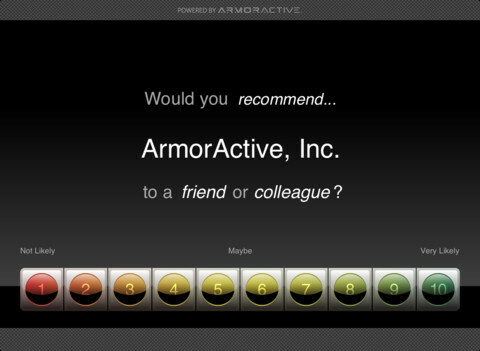 Active Survey from Armor Active lets you present this survey to your customers in your location. Simply load the app and have your iPad running Active Survey at your POS. Your customers can then choose their answer to your survey, leave comments, and even opt in to your mailing list by leaving their email address. Active Survey has a very simple back end admin section where you can define multiple surveys. The fact that Active Survey is so simple means that there are not a lot of options to fill out. You give the survey a subject (your company/brand/product) then give an end of survey text “Thank You” is the default. You can then enable/disable comment collection and email address collection. That’s all there is too it now you’re ready to start collecting responses. 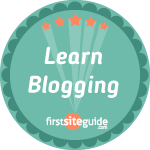 Once you have some responses you can take a quick look at the back end and see your total number of promoters, detractors, and passives. You also see your NPR score. You can also see a detailed report showing you each user’s rating, their comments, email address, and the date/time they completed the survey. I believe the date/time could be invaluable for determining if there is a pattern of poor ratings when certain employees are working. 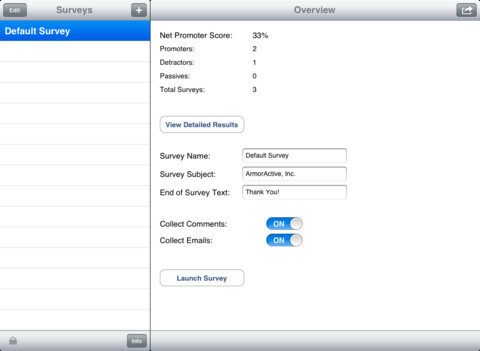 Active Survey is a basic app but if used properly it can give you a good picture of how your company/brand is viewed by your customers.